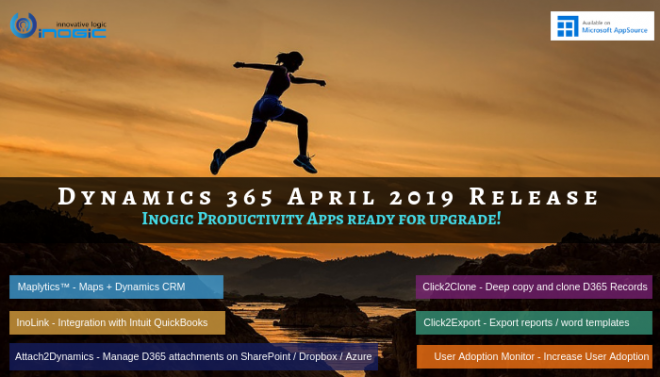 With CRM 2013, Bing Map control was introduced to allow OOB integration with Bing Maps and include a map for the address provided on the record. The Bing Map control is however available for use with only the OOB system entities that have address fields provided in them. 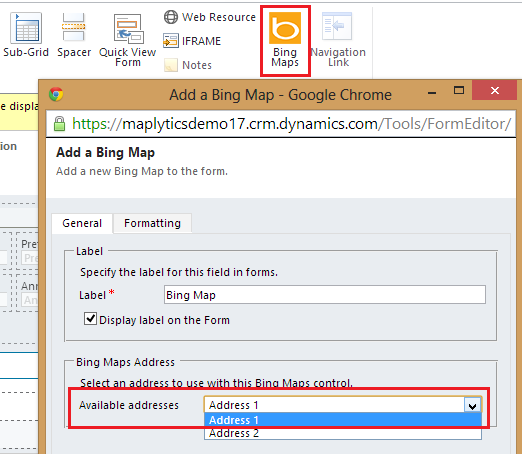 When adding the Bing Map control on the form, you need to select the address to be used. It internally maps the various address fields to generate the map. If you would like the map to be displayed for custom entities or entities for which you have added custom address fields, you would need to look for alternate solutions. With Maplytics, we offer a solution to include Bing Map web resource on any entity. We achieve this by providing configurable mappings for address fields in each entity. Instead of searching a location by its address, Maplytics geo-codes the addresses and plots the address on the map using the geo co-ordinates stored for the record. At times the address provided may not be accurate enough with possibilities of typos and may result in incorrect calculation of the geocodes. Keeping this in mind, the Bing Map web-resource from Maplytics includes the ability to move the pushpin around manually to store the exact the location of the address. Besides, plotting of a single address on the map, Maplytics also provides other features like Proximity Search across entities, Routing and Heat Map Visualizations amongst others. Contact us for a 15 day trial of the product now!